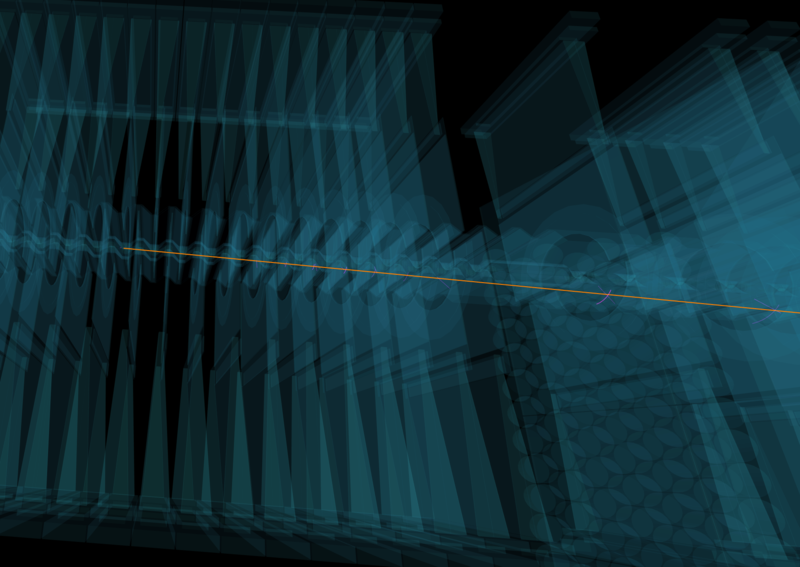 Follow the links below to see what different particles look like in a 3D visualisation of the LHCb detector. 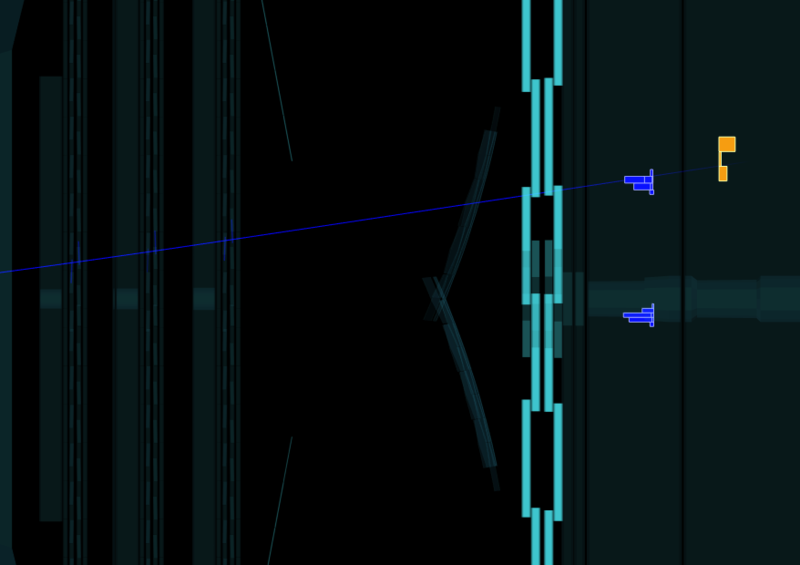 Realtime events collected by the LHCb experiment can be seen here. Some of the same particles should be visible! Different particles are shown in different colours. Electrons tend to deposit most of their energy in the experiments electromangetic calorimiter. They also tend to radiate energy (in the form of photons) in the detector and often leave nearby energy deposits in the calormiter. Muons do not interact very readily and pass through the detector without depositing all of their energy. Pions, kaons and protons deposit their energy in the experiments electromagnetic and hadronic calorimiters. All of these particles are electrically charged and their trajectory in the detector is bent by the experiments magnet. The LHCb detector components are described here. The events can be rotated (on a mobile device just use a single finger to move it around) and zoomed (use two fingers in a pinch action). On a machine with a mouse, the left button and the middle button wheel perform the same tasks. By default the events are shown with the full tracking system as the camera centre. This is the best view for seeing the entire event in the whole of LHCb. 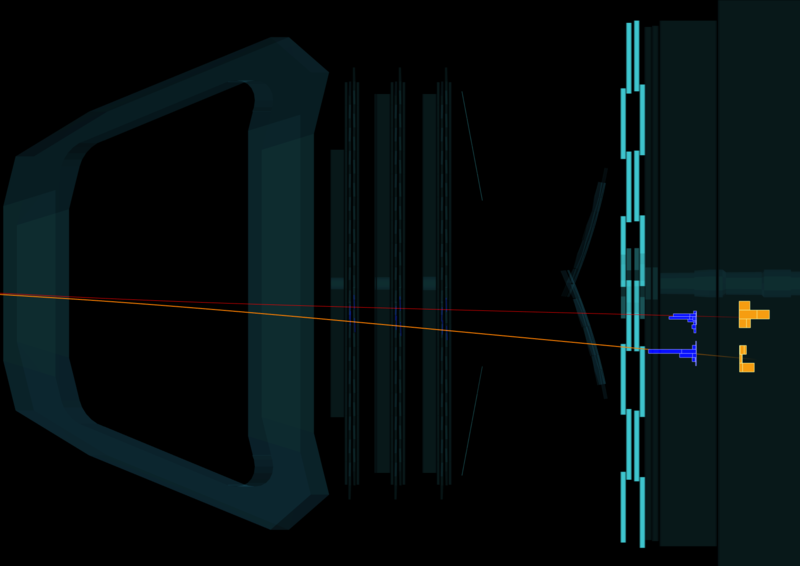 To shift the camera to alternative perspectives, use the camera options in the Visualisation menu. Perhaps the most useful alternative is the Velo option. 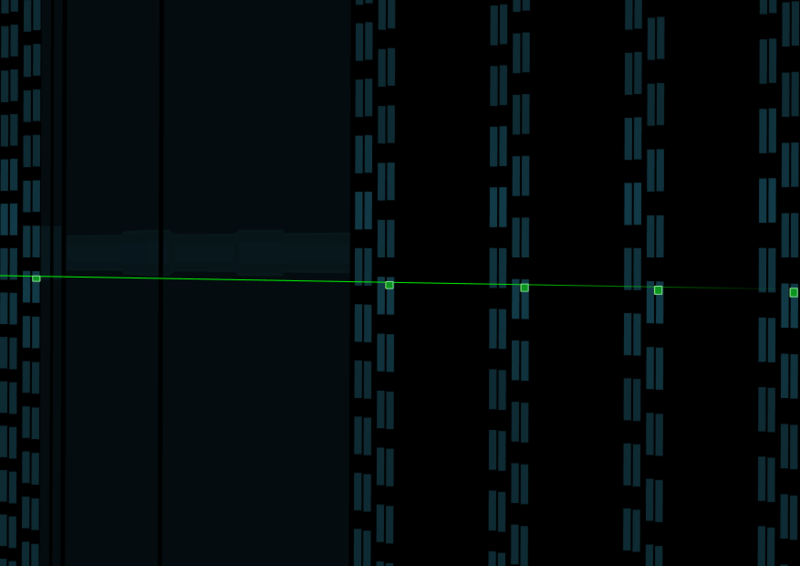 This zooms in on the interaction region, to better illustrate the primary interaction points. Use the Next event button to skip to the next example event.